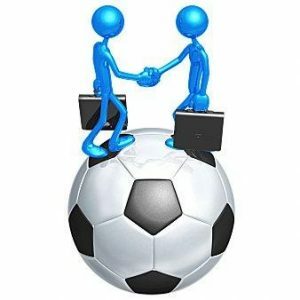 We are back at it again with our SportPesa Mega Jackpot post-match analysis. Brace yourselves as last week’s sportpesa mega jackpot games had it all, from pitch invasions to stunning comebacks to penalties galore. With this in mind, lets dive right into it, shall we? This has to go down as the most action-packed game of the weekend with scenes that looked straight out of the walking dead TV series. 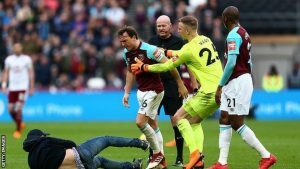 West Ham fans invaded the pitch at London Stadium after three second-half Burnley goals condemned the Hammers to a third defeat on the trot. Surprisingly enough, their afternoon that had begun with a show of unity. On West Ham United’s first home game since the 25th anniversary of the death of Bobby Moore, the 55,000 supporters in the London Stadium came together before kick-off in applause for the club’s former captain. Things then took a serious turn for the worse after about an hour into the match, West Ham’s current captain Mark Noble was physically throwing a pitch invader to the ground, sparking a chain of events that led to hundreds of supporters hurling abuse at the club’s co-owners, David Gold and David Sullivan, and a group of children sheltering from the chaos on the Burnley bench. More importantly though, the Clarets now have two wins in a row after Wood came of the bench to devastating effect. Wood, who created Barnes’ opener, is the first player to be involved in three Premier League goals as a substitute since Everton’s Steven Naismith in 2015, and he has a knack for making things happen. If anyone would have said Burnley would be in contention for a European slot by mud-March back in August, he/she would have been picked as a promising candidate for the mental asylum but that’s exactly the position they are in. they are just a few points shy off 6th placed arsenal and Dyche’s achievement should be lauded. This one threw our predictions right out the window and to be fair, after west ham lost away in their previous match, a consecutive loss seemed farfetched. Kenedy the player on loan from Chelsea bag a brace for the Magpies, with his first coming after just 63 seconds while Matt Ritchie added a third as the hosts eased their relegation fears with a fine win that leaves them five points clear of safety in 13th. Southampton manager Mauricio Pellegrino was left fuming at the touchline and even came out accusing some of his players of giving up during his post-match interview. “The spirit of the team and the attitude is everything. We have been talking about this a lot. You can have good players, you can have a budget, but without personality and spirit, it’s really difficult to compete at this level. When you concede in the first minute, you feel the game will be tough and every single negative impact is massive for you. I observed some players who gave up and we cannot show this. We were never a threat for Newcastle.” the Argentine said. The man of the match award has to go to Jonjo Shelvey who upon being replaced in the 83rd minute, received an excellent ovation from the St James’ Park crowd, who recognized his contribution to what could prove to be a vital three points in their bid to beat the drop. Mauricio’s statement sums this one up perfectly and we are glad to have got our predictions spot on. Riyad Mahrez and Jamie Vardy came alive after their team fell behind to stage a scintillating comeback at the Hawthorns. The hosts had taken the lead when Salomon Rondon produced a close-range finish from Oliver Burke’s low cross. the Foxes equalized in spectacular fashion when Jamie Vardy volleyed home a peach of a goal past Ben Foster from Riyad Mahrez’s sublime ball over the top. The Algerian then got on the scoresheet himself after half-time when he calmly finished after a clever pass from the Nigerian prodigy Kelechi Iheanacho. Former Manchester City striker Iheanacho put the game beyond West Brom when he headed in Ben Chilwell’s cross. Leicester completed the rout in injury time when Vicente Iborra headed home from a corner. With fixtures against Liverpool, Manchester United and Tottenham to come in their remaining eight matches, the Baggies’ chances of staying up are looking pretty bleak at the moment. Alan Pardew’s long terms prospects as their manager looks equally as forlorn considering the fact that he has recorded just one victory since replacing Tony Pulis back in October 2017. Count them out at your own peril though as Pardew has been known to pull rabbits out of his hat on more than one occasion. Sheffield United lost crucial ground on the coveted Championship play-off spots after being held to a goalless draw at Ipswich. The goalless stalemate left the Blades 9th on the table standings, but they slipped five points adrift of sixth-placed Middlesbrough. A share of the spoils meant Mick McCarthy’s Tractor Boys have picked up seven points from a possible nine since 24 February and remain 12th on the English Championship Standings. The Blades manager’s assessment mirrored our own as we had gone for an away win on this one based on the fact that the blades were playing with the coveted play-off position as a motivator but it wasn’t to be. The Swans were duly praised by their manager after hanging on for a point while playing with 10 men for most of the match after Jordan Ayew was given his matching order by Michael Oliver in the 11th minute. Carvalhal, the Swansea City manager said that Huddersfield “played opera” and Swansea “had to listen to their music for a long time,” keeping with his current music-related theme a week after he said his side had made West Ham “dance to rock n’ roll” in their 4-1-win last Saturday. “But the most important thing is that in the end, we achieved what we wanted. It was an epic point,” the Portuguese added. Swansea and Huddersfield drop one place in the Premier League table to 14th and 15th respectively, four points above the relegation zone after their rather one-sided encounter with the hosts enjoying the lion’s share of possession at over 81%. They should however see this as 2 crucial points dropped on their quest for survival in the hotly contested relegation battle. Huddersfield failed to score for the 16th time in the league this season despite being up against 10 men for most of the match. Needless to say, we got our prediction spot on with our 1st pick. Out-of-form Reading who have won just 8 league games from 36 and Leeds had to settle for a point after a thrilling draw at the Madejski Stadium. Royals boss Jaap Stam, whose side have now won only once in 17 Championship matches, led early on through Jon Dadi Bodvarsson’s neat one-on-one finish. Pontus Jansson’s strike pulled Leeds level 1-1 and they led after the break when Pablo Hernandez’s speculative shot found the top corner. The hosts ensured the spoils would be shared thanks to Eunan O’Kane’s unfortunate own goal. There were countless opportunities to earn maximum points in the final 30 minutes but both sides lacked the much-needed composure in front of goal. The result means that Leeds remain in 13th place, nine points off the play-offs. Our 1st pick proved to be accurate on this one. George Saville, Millwall’s top-scorer, proved decisive once again when he scored inside the first minute for the second match running to ensure Millwall edged past Brentford in this hotly contested fixture. Promotion hopes as well as derby spoils were at stake between two in-form teams closing in on the play-off places, with Millwall unbeaten in 10 league games prior to this one while the visitors were in search of a 4th win in their last 5 matches. The only aspect the game that proved surprising was the fact that there weren’t any more goals with 27 as the final tally in terms of attempts on goal. Millwall’s fifth win in their last six moved them up a place to 10th on the English Championship Standings, swapping positions with Brentford, and within 6 points of the highly coveted play-off spots. Our prediction was accurate on this one with our 1st pick proving to be a winner. This has to go down as our match of the weekend as it had all the ingredients for a classic. Both teams were on it from the very 1st minute and it proved to be a really entertaining clash between two former premier league clubs. The Tigers fought back from 3-1 down to end Norwich’s seven-match unbeaten run in a game that featured four penalties! 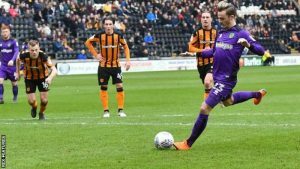 Jackson Irvine slotted a fast-starting Hull in front before James Maddison’s, Norwich City’s Top-Scorer, 21-minute hat-trick turned the game on its head. Two penalties from Abel Hernandez brought Hull level at 3-3, before Harry Wilson’s cool finish won it for the tigers. The visitors had conceded just seven goals in their previous 10 Championship outings, but had zero answers to Hull’s relentless pressure as they piled up 15 shots on target, including Wilson’s priceless winner. Hull’s third win in six matches moved them up two places to 18th, and six points clear of the relegation places, while Norwich remain in 14th. The Norwich manager was left fuming while licking his wounds and his post-match interview was testament to this fact. Our 1st pick may have fallen through but our second meant we got it right as Hull ended up winning. Aleksandar Mitrovic proved to be the hero by striking home the winner deep into stoppage time as Fulham clinched a 2-1 victory over fellow promotion chasers Preston at Deepdale. The Serbian maestro got his second goal of the game to make it four successive wins for the in-form Cottagers, who moved up to third in the Championship table and look well in for a promotion spot. However, they have since moved down to 4th following Aston Villa’s victory over Wolverhampton Wanderers on Sunday. Mitrovic’s match-winning brace displayed his fine form for the cottagers since arriving on loan in January, as Fulham picked up an impressive 10th win in their past 12 league games. “I have to be satisfied. It is massive for us in one of the toughest away games we played. We knew what we would find here, they put us under lots of pressure, we didn’t find it in the first 45 minutes but in the second half we grew up and we showed great spirit. We pushed hard after they scored and we realized we are still in a strong position to win the game and in the end its credit for the ambition and the quality that they showed today, especially at the end of the match. We know Aleksandar can help us and at the end all the players like Aleksandar deserve to be satisfied and happy with our performance.” Slavisa Jokanovic, Fulham Manager. Our prediction was spot on as despite the match being a really tight one, the in-form team went away with all 3 points. Leaders Wolves fell to their heaviest Championship defeat of the season as they were taken apart by Aston Villa. Villa got off to a bright start when they went ahead from Robert Snodgrass’ left-wing corner. Wolves captain Danny Batth sliced his attempted clearance and the ball fell for Adomah, who got in to slide home his 14th league goal this season from a yard out. Wolves’ equalizer was equally as scrappy. After a close shave when home skipper John Terry had to hook away from underneath his own bar, Wolves then attacked down the right through Matt Doherty, who nutmegged Neil Taylor before sending in a wicked low cross. Chester could only got a toe on it to divert it away from goalkeeper Sam Johnstone and the alert Jota bundled his way in ahead of Elmohamady to net his 13th league goal of the season. At half-time the match could have swung either way, but Villa went back in front after 57 minutes with the first of two quick-fire strikes, when Chester got on the end of another Snodgrass left-wing delivery to turn in his impressive second goal in just five days. Five minutes later, resulting from Adomah’s left-wing cross from the byline, January loan signing Grabban arrived at the near post to get in ahead of Willy Boly and steer in his 16th of the season – and fourth for Villa in successive games. Leaving just enough time for the solo goal of the game when Iceland international Bjarnarson waltzed past three players before toe-poking home from 18 yards. Our 1st and 2nd picks both proved to be winners. This has to go down as the French version of the West Ham v Burnley fiery encounter as the Lille fans raced onto the pitch and attacked their own players. TV footage showed supporters surging towards the Lille players and aiming kicks at some of them after the final whistle of the Ligue 1 match. The host went 1 nil up just before the half-time mark via Pepe only for Montpellier to pull level mid-way into the 2nd half through Roussillon. The match wasn’t half as thrilling as what was going on in the stands. The Lille fans channeled their inner west ham spirit and duly brought out their frustrations onto the pitch once the match grinded to a halt. Lille, who won the last of their three Ligue 1 titles in 2011, are just a single spot place off the bottom of the table in a season that promised so match back in August. The French League officials have confirmed that they will investigate the incidents at Lille’s Pierre-Mauroy stadium as soon as this Thursday. Just like the match, our predictions were off on this one. The Catalan club backed our 2nd pick by staging a commendable comeback after Real Sociedad opened things up late in the 1st half through Willian Jose. Espanyol’s stellar home record was what we were banking on and they didn’t disappoint as goals from Baptistao and Moreno Penalty ensured that they got the crucial 3 points. Based on the run of play, a draw would have been the fair result but as always, in football it all comes down to slotting any chance or half chances that come your and Espanyol did just that. Real Sociedad did look good and easy on the eye and they can look forward to their next match with optimism as some of their attacking play was simply sublime during this encounter. This was as one-sided as they come with Nice running riot despite the absence of their Talisman Super Mario Balotelli. The hosts may have opened the scoring via Clement Grenier- the former Lyon talisman- but it was all Nice from then on. 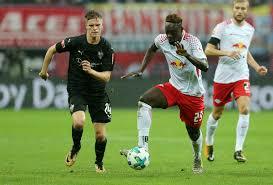 The visitors stormed to a 3-goal lead with Alassane Plea proving to be the toast of the bunch after he scored a memorable 4goals. Marlon Santos did score an own goal late on in the match but it proved to be nothing more than a consolation goal for the hosts who were totally outplayed in each and every department. Our away win prediction proved to be a winning one. This was one of those matches that promised so much in terms of attacking football on paper but as they say, football matches are never won on paper, now are they? There really wasn’t anything to write home about as it was a really cagey affair with both sides hell-bent on not losing. As was predicted in our 2nd pick, the teams ended up sharing the spoils with a point each after a rather forgettable goalless and drub affair. Nottingham Forest and 10-man Derby took a point apiece from an entertaining but goalless East Midlands derby. The Rams played the final eight minutes with10 men after Tom Huddlestone was sent off for two bookable offences on Lee Tomlin. Forest keeper- formerly at Manchester City, Costel Pantilimon’s superb double save from David Nugent and Tom Lawrence was the closest either side came to breaking the duck at the City Ground. Our 1st pick was spot on. Milan beat all odds to emerge victorious on this one as we had predicted a draw as their best possible outcome. This was based on the fact that unlike AC Milan, Genoa had a two-week rest prior to this encounter. The Rossoneri on the other hand had to host Arsenal in their Europa League clash, a match in which they lost miserably. It looked as though Milan would be frustrated when Suso bent a 25-yard free-kick narrowly wide of the right upright and Franck Kessie was denied with a low strike in the 2nd half, But with the final play of the match Suso weaved the ball onto his potent left foot on the right flank and delivered a teasing cross into the area that Silva – whose only goals this season have come in Europe – emphatically headed into the top-right corner. It was our assumption that fatigue levels would play a huge role on this one and they almost did as AC Milan’s winner came really late on in the match. They seemed a bit jaded after being put the dryers by a resurgent Arsenal side. They are up against the North London giants again this coming Thursday and their last gasp winner against Genoa puts them in good stead going into their must-win crunch tie in the Europa League. This highly anticipated match that promised so much ended up as a goalless stalemate with both Italian giants going away with a point each. A total of three shots on target were all both could muster as they battled to a 0-0 draw at the San Siro. The draw keeps Napoli in second behind Juventus after the Old Lady’s 2-0 against Udinese. Inter on the other hand held on to fifth position, a point behind Lazio — who drew 2-2 with Cagliari. Inter will continue their quest for a return to European competition when they hit the road and take on Sampdoria on March 18. We got it right on our second pick on this one. That’s it regarding our SportPesa Mega Jackpot post-match analysis this week and we are happy to say we are definitely getting better with a high of 10/17 correct predictions. Watch out for our sportPesa mega jackpot predictions this week later on in the week. 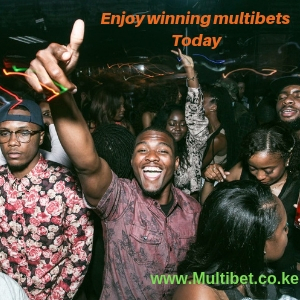 At multibet Kenya, we have something for everyone.